Easy to use control functions,conveniently located below the screen. Quick,accurate and easy operation for alignment and measurements. Measure all types of lenses made from all kinds of materrials. Able to measure single vision,bifocal and progressive lenses,and hard and soft contact lenses. 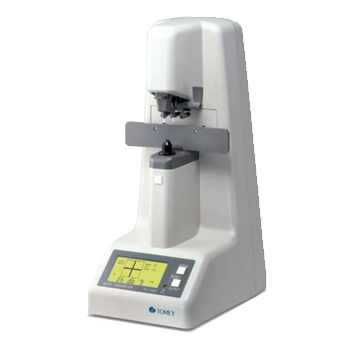 The Auto Lensmeter TL-100 is the standard model in TOMEY’s lensmeter line. This model is intended for comprehensive measurement of spectacle lenses and contact lenses, e.g. spherical lenses, cylindrical lenses, progressive lenses, and high refractive index lenses. The TL-100 also displays prism diopter readings. For opticians, vision test equipment in their clinics are objects that their customers enjoy seeing. This definitely includes lensmeters, so they should be attractive devices. TOMEY believes the sophisticated appearance and the vivid TFT color LCD of the Auto Lensmeter TL-3000C/2000C meet these requirements. Definitive and highly accurate decenter measurement device available on-site. 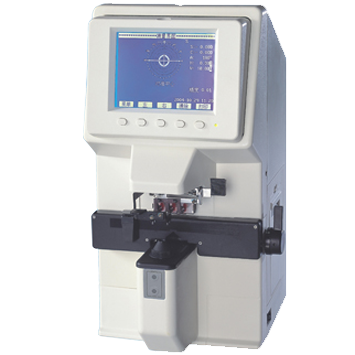 This device is a transmission-type decenter measurement device using the collimator optical method. The measurable range of the focal length is broad enough, from plus/minus a few millimeters to infinity (plane). 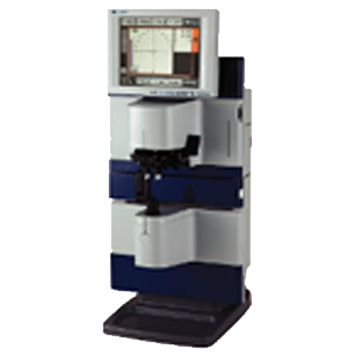 Also with a variety of lens rotators and holders, it can achieve accurate decenter measurement. It's compact, space-saving and user-friendly design has a solid reputation with many clients, for its effectiveness in labor savings, quality improvement, and streamlining at manufacturing locations. 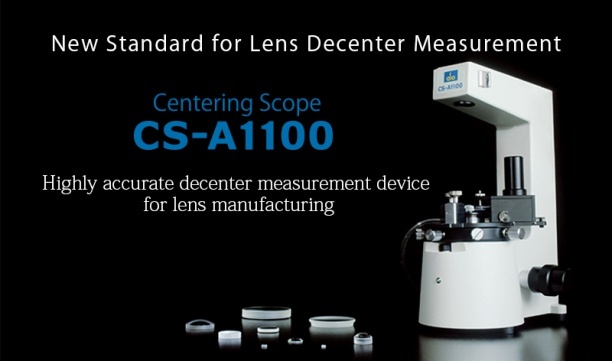 Thus, we are happy to introduce the CS-A1100, a further developed high-accuracy decenter measurement device.